Click on any picture for full size image. 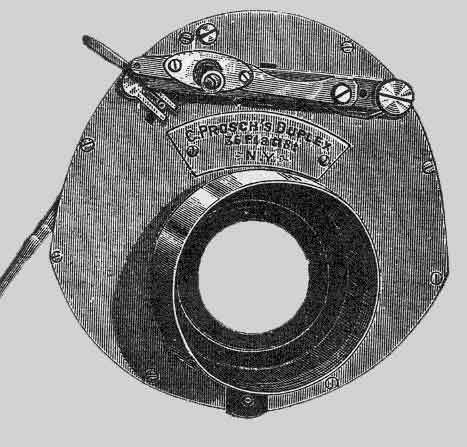 TheProsch Duplex shutter, available in 1886, was the first flagship of the Prosch Manufacturing company. It was offered with no less than 13 different size openings ranging from 3/4" to 3 1/2" for various lenses. This shutter was also purported to have a few custom sizes, or lens fittings, manufactured by special request. The first year of production shutters did not have the rotary stop. This was added as an option in the second year, After that, virtually all had the rotary stop assembly. 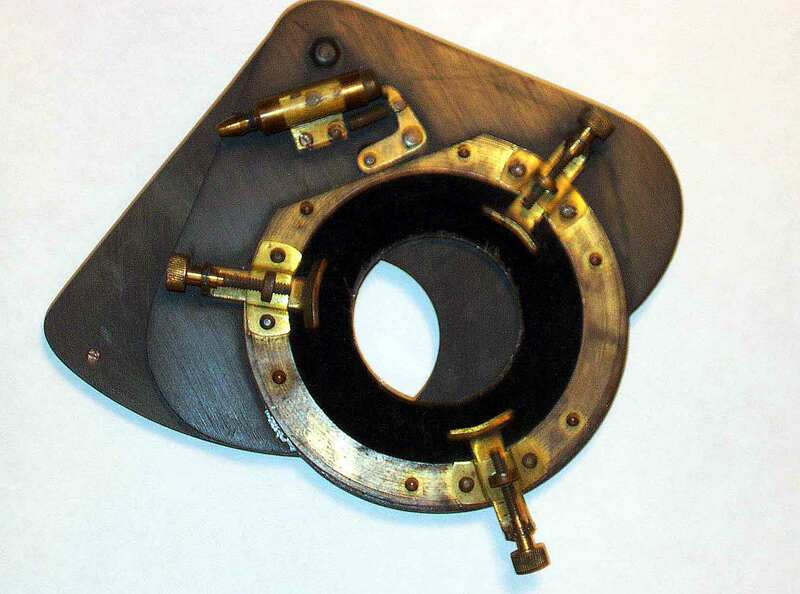 This is a plate showing the Prosch Duplex Stereoscopic shutter. It is actually two Duplex shutters on a special frame with a connecting release bar. I'm not really sure when this was first brought in production, though it's confirmed to be available in two different sizes, No. 1 and No. 2, as early as 1888. 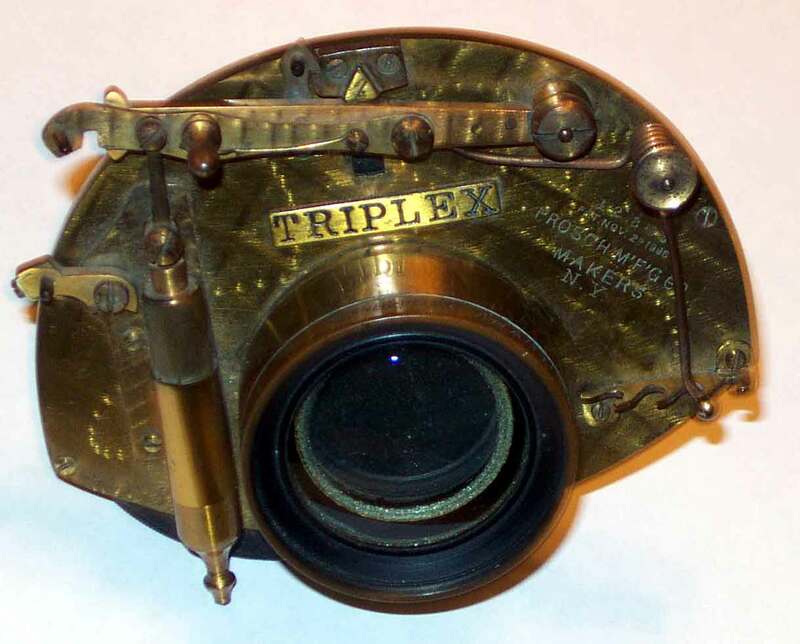 Later, the Triplex was offered in a similar configuration. 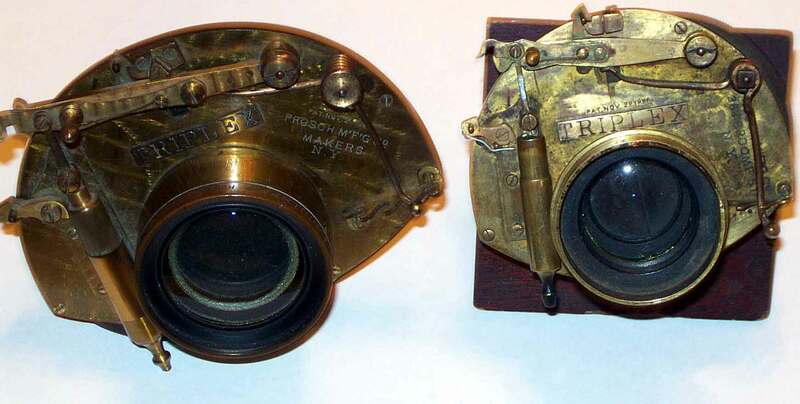 A fast shutter designed for demanding action photography such as sporting events and horse racing (remember, this was the late 1880's) was the Prosch Rapid (left). 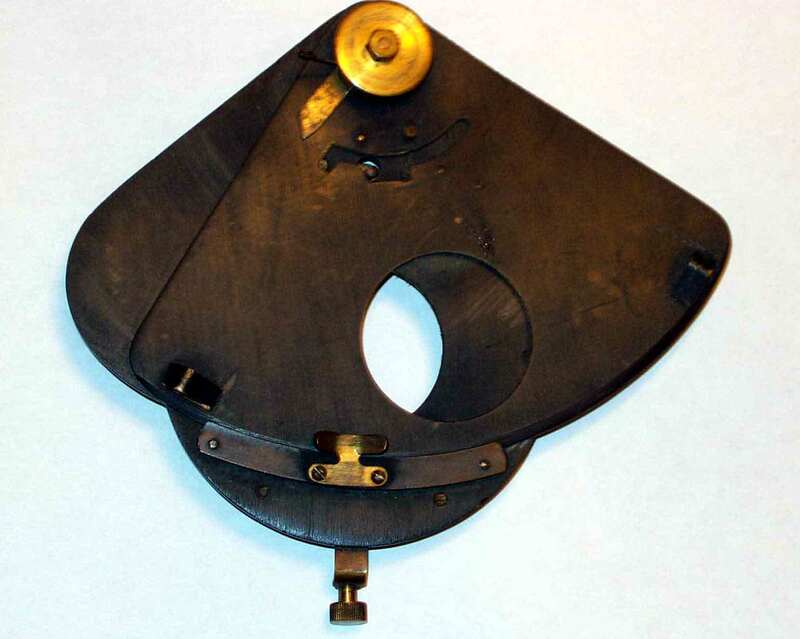 Much faster than the Duplex, this shutter was offered in two sizes with either a 1" or 1 1/2 " opening. 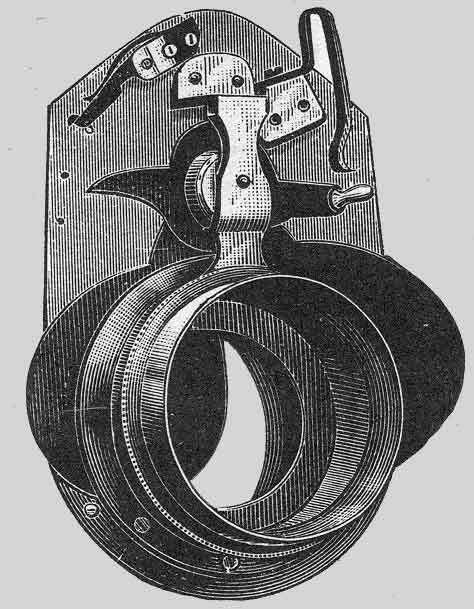 Prosch's Eclipse shutter (right) presented an elegantly designed dual leaf mechanism. When cocked, one leaf would cover the opening. 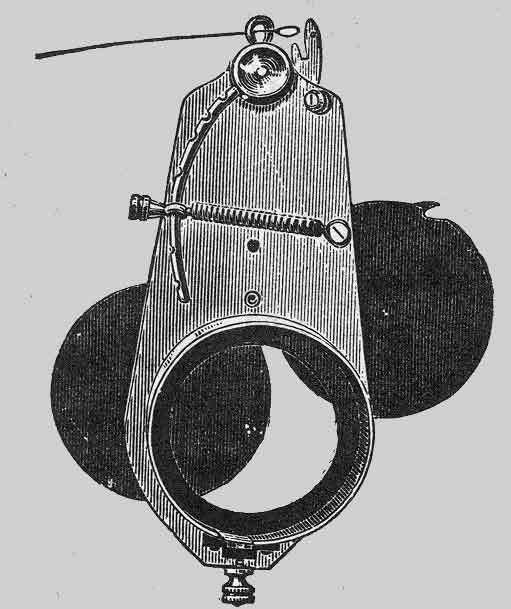 Upon pulling the string at the top, the hair trigger release would allow the first leaf to swing away from the opening and the second would swing in to close the opening. The speed of all this was determined by the position of the tension spring along an arc. The Eclipse was the economy shutter offering. Originally priced at nearly half that of the Duplex. The Prosch Athlete has been identified in at least two variations. 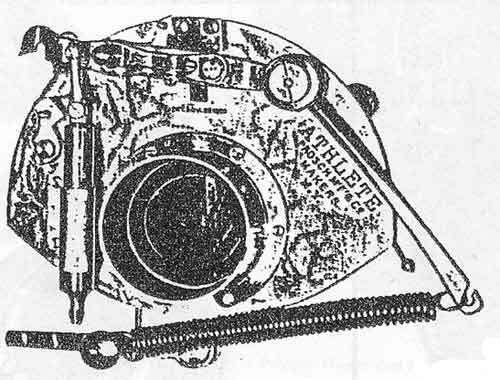 The line drawing here shows the shutter without the Athlete nameplate directly above the lens mount. The name is engraved on the spring lever side. The second variation has a nameplate just like the Triplex. Note the massive spring! 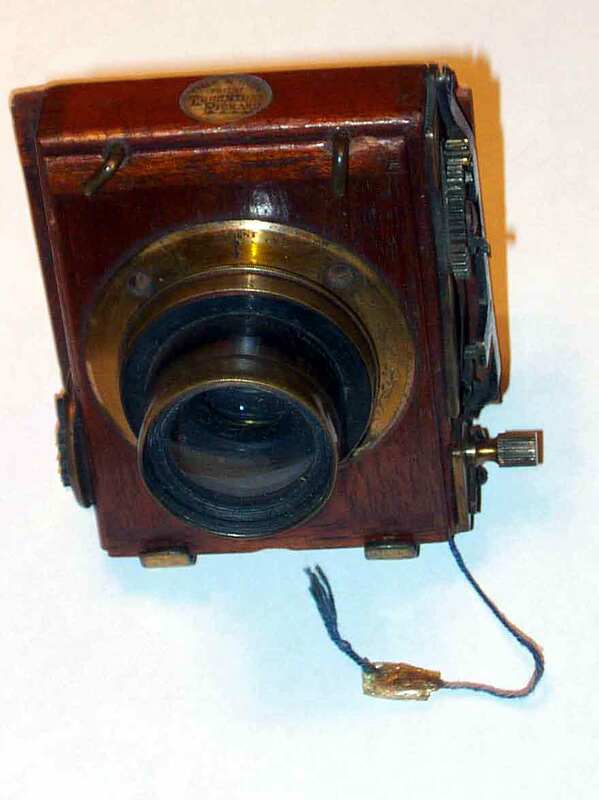 It provided enough power to trip the shutter leaves as fast as 1/300 of a second! Take a real closer look at two different size Triplex shutters. Check out this outfit on a Bon Ton 4-tube lens. This one is called a Butterfly Shutter. It's made of wood and brass. A spring loads the motion. When tripped, an opening swings past the lens exposing the film. While not marked, this shutter could have been made by Anthony around 1890. Not as old as the others on this page but it is one of my favorite designs. The Thorton Picard roller-blind shutter. This operates on the same principle as an old fashion window blind.